We believe that service starts with people. It begins with hiring talented people with strong values and providing them with the right tools and continual skill development training. At Day's Jewelers we do more than sell fine jewelry and gemstones. Our services include watch repair, personalized engraving, jewelry repair, diamond and gem setting, custom jewelry design, pearl and bead stringing, remounting, appraisals and much more. We're happy to service your jewelry whether it was purchased from us or not. Our own professionals complete most all services on the premises. When you entrust us with your jewelry for repair, it is computer tracked through every step of the process from the moment you leave it until you pick it up. 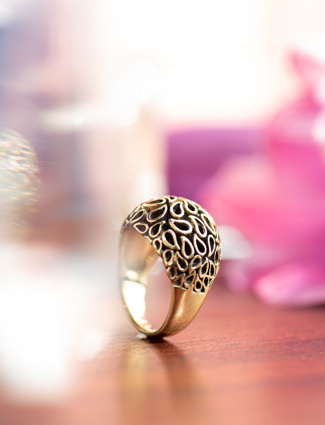 Every piece of jewelry we work on is inspected for quality workmanship by at least 3 Day's Service Specialists before it is returned to our guest. You are welcome to stop by one of our stores to speak with our goldsmiths, gemologists and jewelry professionals who are all available for private consultations. We believe that service starts with people. It begins with hiring talented people with strong values, and then providing them with continual skills development. Day's Service Departments incorporate the latest tools and technology including computerized engraving systems, laser technology and modern gemological testing equipment. When you enter any Day's store you can be confident that the person who serves you is an expert in their trade. Want to see an online item in a store? Day's Jewelers carries over 10,000 different items. Many of them are one of a kind pieces that are located in only one of our stores. If you see an item online and would like to see it and try it on in one of our stores, simply click on "See In Store". You'll be asked to selected the store and what date you'd like to see it. We'll get right back to you to confirm when the item will be in the Day's store of your choice set aside for you to see. Day's is happy to provide you with this service at no charge and no commitment to purchase. 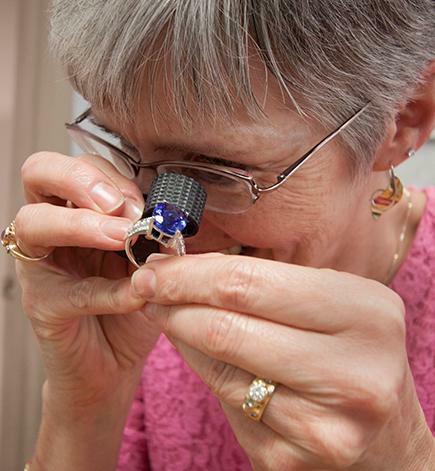 We do almost all of our own jewelry repairs here at Day's Jewelers. In fact, about 98% of all repairs are completed right on the premises. Your jewelry will be completely insured and tracked through every step of the repair process with our sophisticated computerized jewelry repair system. Every piece that comes in for repair is inspected no less than 3 times to ensure quality of the material and the workmanship. With our attention to detail, you'll have confidence and trust in us when you leave any of your pieces for repair. In each of our stores you will find some of the best repair specialists in the business. Our staff is equipped with the most up-to-date equipment to provide better service and quality for you. We can do just about any repair you may need, including soldering, sizing, and stone setting; whether the piece of jewelry came from Day's Jewelers or not. If you've got a ring or necklace that you haven't been able to wear for a while, bring it to our expert service people, and we can make it look like it did on the first day you wore it. Special orders, engraving, and sizing - please add an additional 2-3 business days to your order when placed online. Some ring sizes may need to be special ordered and can take up to 8 weeks. Please check with our Personal Shoppers before placing an order if you are unsure of the order time for your item. 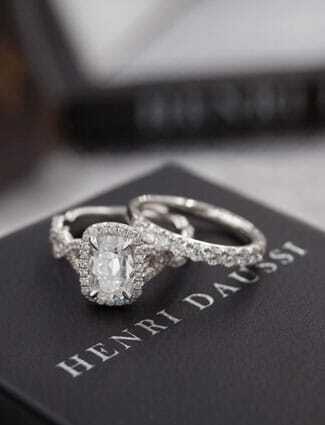 NOTE: Ladies rings are usually stocked in a size 6-7. Mens are stocked in a size 10. Day's offers in-house financing to our customers. Day's does not sell our accounts off to large “corporate credit houses”, we offer our customers the privilege of owning a beautiful piece of Day's jewelry on credit through money that we personally lend to them. A Day's Jewelers Credit Specialist is always available with any questions you may have. APPLY NOW or MAKE A PAYMENT. Have you ever seen that perfect piece of jewelry that you just had to have but you settled for something else because the one you really desired wasn't in your budget? Make a payment each month of at least 10% of the total sell price of the item. The best part is there are no service fees* and no interest. With our exclusive online or instore layaway program, you can have what you really want! 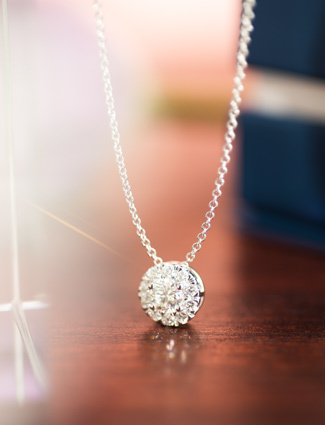 At Day's Jewelers, we take pride in offering everyone the opportunity to own fine jewelry. To set up a layaway plan or if you have any questions, please call 800-439-3297. You can also email us at info@daysjewelers.com. *If you cancel your layaway after 30 days, a restocking fee of 20% of the total required deposits will be withheld as a service fee. The service fee will be waived if you use your deposits towards another purchase. You should have all of your fine jewelry inspected at least every 6 months, especially your rings. The inspection process will ensure that stones are held securely, clasps on chains and bracelets are working correctly Losing a diamond out of your engagement ring could be a devastating experience, but it can be avoided by bringing your rings in for periodic inspections, even if it wasn't purchased from Day's. At Day's, you can stop by anytime and we will inspect your jewelry under a microscope to make sure all the prongs that hold your gems are secure. We can also buff it and ultrasonically clean it free of charge. The best part is that we can do this all while you wait, so there's no hassle or need to leave your jewelry overnight! At Day's Jewelers, we take your watch repair and battery replacement very seriously because we know that you depend on your watch to keep accurate time. We also understand that you want to be assured that the person who is replacing the battery in your watch is a trained professional. When we replace the power cell in any watch, we go through 18 individual steps to guarantee your satisfaction! For just $12.00 you can be in and out of our store in usually less than 10 minutes with a new battery in your watch. It's that easy! If more than a battery is needed to repair your watch, we will notify you immediately and can repair it for you. For a one-time fee of $24.95, Day's will replace the battery in your watch for its lifetime at no extra charge. Engraving can add just the right touch to that special gift. It makes a piece more personal, and can touch the heart in so many ways. Engraving a piece can be used for security purposes as in the case of loss or theft. At Day’s, we have master engravers located in each of our stores. Our engravers are able to inscribe messages on any type of surface from plastic to metal to wood, and even on glass. (Engraving on a champagne bottle with the liquid still inside is a great gift for weddings and anniversaries!) Several different computer generated texts are available to be inscribed, or the engraver can take a special hand-written message, scan it, and engrave it onto any piece making it a special and unique gift. We highly suggest that your name be engraved on the inside of your ring. If you should lose it, there's a far better chance that it will be returned to you. If you gift your ring to a grandchild, friend or family member, your name will remain inside as a permanent remembrance. Have Day's put a touching message on your precious piece to make it a gift that will be cherished for generations! Special orders, engraving, and sizing - please add an additional 2-3 business days to your order. Have you ever wondered what your jewelry is actually worth or perhaps you would like to have your jewelry insured? 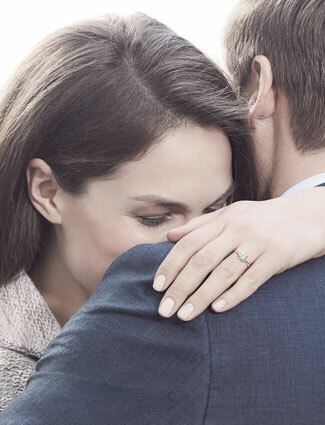 We understand that your special pieces of jewelry have sentimental value. At Day's Jewelers, when you bring in your jewelry, we can inspect each piece and offer a free verbal evaluation. We can also provide a complete written insurance and estate appraisal. Our team of highly qualified gemologists are trained by the Gemological Institute of America (GIA). Equipment in our gemological laboratories in our stores are able to accomplish over 40 individual tests to identify gemstones and metals. We are also directly linked to all major worldwide jewelry markets so that we are able to establish the most current value of your diamonds and precious stones. Day's Jewelers believes that each piece of jewelry should reflect the personality of the individual who wears it. Some of our finest craftspeople specialize in transforming personality into an artful piece of jewelry. Our in-house master jewelry designers can create a fine piece of jewelry that is perfect for you. Do you have pieces in your jewelry box that you no longer wear? Bring them into us and spend some time dreaming with our jewelry designers to create a special piece of jewelry from the old metal and gemstones. We provide free ear piercing with the purchase of earrings. Please call the nearest store for complete details and to schedule an appointment. If we determine the cause of damage to your jewelry was the result of defective materials or workmanship, we will either repair or replace the piece of jewelry for free at our option. To be eligible for this warrantee, your piece of jewelry must be inspected at any Day’s store at least once every six months. If you should move to an area where there is no Day’s store located, we would be happy to recommend a reputable jeweler to perform the required semi-annual inspections. The center diamond of any diamond ring purchased from Day’s may be traded at any time for full purchase price towards another diamond of at least 50% higher price. All weights of diamond stud earrings and all weights of diamond solitaire pendants purchased from Day’s may be traded for full purchase price toward the purchase of another diamond of 50% greater price. Only undamaged diamonds qualify for this trade up policy.